IPSO’s industrial washers and tumbles for on-premises laundries are heavy duty machines delivering industrial performance to make your in-house laundry operation a success. 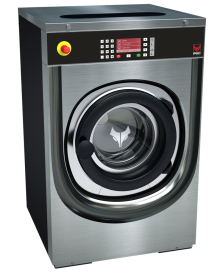 Hard-mount washer-extractors are the standard in industries such as hotels, healthcare facilities and other typically ground-floor laundries. These units are secured to the concrete floor, cost significantly less than their soft-mount counterparts and have a proven record of dependability with superior wash results. 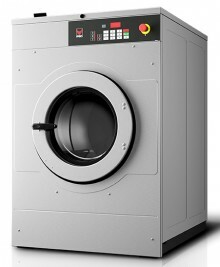 IPSO’s commercial softmount washer-extractors are industrial by design. They are built to extend linen life, reduce water usage and utility costs, and maximize productivity. The high G-Force extraction on the softmount range reduces drying times and utility costs, often removing such significant moisture that items can often bypass the dryer and go directly to your flatwork ironer. 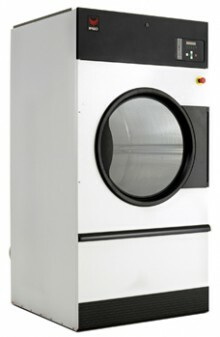 IPSO tumble dryers feature a concentrated airflow pattern and sealed cylinder rims to ensure maximum air utilization and energy savings. This superior drying performance helps laundries maximize productivity to meet the daily workload without the need for added shifts or costly overtime. IPSO stack tumble dryers feature a concentrated airflow pattern and sealed cylinder rims to ensure maximum air utilization and energy savings. This superior drying performance helps laundries maximize productivity to meet the daily workload without the need for added shifts or costly overtime.